Inspired by their idealistic professor, Dr. Mallery (Robert Redford), to do something meaningful with their lives, Arian (Derek Luke) and Ernest (Michael Peña) join the military and ship out to Afghanistan. Their experiences tie together two separate but related stories. 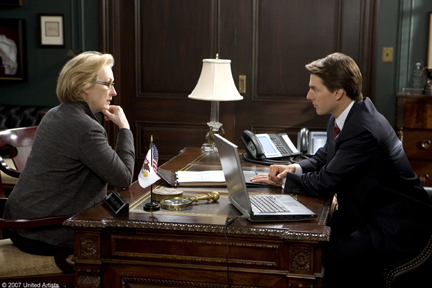 In California, Mallery tries to break through to a disaffected student, while in Washington, D.C., a presidential hopeful (Tom Cruise) prepares to give a journalist (Meryl Streep) the scoop of a lifetime.